Co. Cork: Ballymoney (2), Drinagh, Dunmanway (4), Inchageela (2), Kilmeen (2), Kilmicael (3), Kilmurry. The Board also included 5 ex-officio Guardians, making a total of 20. The Guardians met each week on Saturday. The population falling within the Union at the 1831 census had been 30,138 with divisions ranging in size from Kilmurry (population 1,473) to Dunmanway itself (11,405). 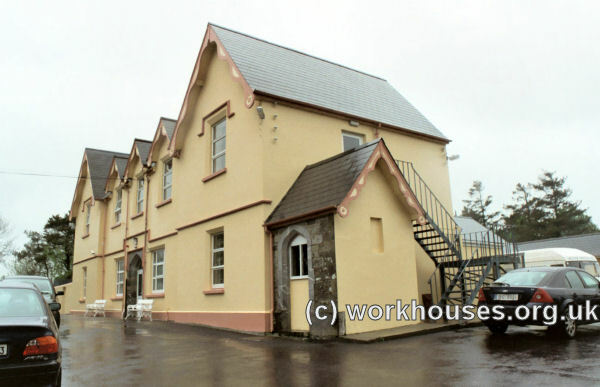 The new Dunmanway Union workhouse was erected in 1840-1 on a five-acre site a mile and a half to the north-east of Dunmanway. Designed by the Poor Law Commissioners' architect George Wilkinson, the building was based on one of his standard plans to accommodate 400 inmates. Its construction cost £5,210 plus £990 for fittings etc. The workhouse was declared fit for the reception of paupers on 16th September 1841, and received its first admissions on 2nd October. The site location and layout are shown on the 1841 map below. During the famine in the mid-1840s, a house was hired and stable sheds were appropriated to accommodate 120 extra inmates. A fever hospital to accommodate 60 patients was erected at the north of the workhouse. The later layout of the site is shown on the 1900 map below. Letter from Mr. Assist. Comm. Crawford of 21st June requiring to be informed as to how far the Industrial Training of the pauper children was carried out in the workhouse — replied to by Clerk to the effect, that far from the crowded state of the House hitherto, the regular training and classification of the children could not be attended, that the school mistress had died during the winter, and that the present school mistress was but recently appointed, while the school master was compelled for the great part of the last half year to act as master of the House — but that it was now hoped their officers could in future attend to their respective duties. In April 1884, one of the Guardians, Mr Hurley, proposed that the workhouse diet be improved. to include meat four times a year and fish once a month. However, no-one seconded the resolution so it received no further consideration. In 1895, Dunmanway was visited by a "commission" from the British Medical Journal investigating conditions in Irish workhouse infirmaries. Their report described the nursing arrangements at Dunmanway as "a travesty" and the wards as "quite unsuitable" for their purpose. They also pleaded for some basic comforts for the aged, armchairs, better heating and lighting in the wards, and improved sanitary facilities — there were no indoor toilets, just "soil pails" which left uncovered and unemptied during the night. Further details are available in the full report. On the night of 11-12 December 1920, the British Auxiliary Force's 'K' Company, then based in Cork, went on a massive rampage in the city, burning and looting buildings and attacking local people. The 'Burning of Cork', as it became known, was carried out in reprisal for the ambush of a Company patrol by the Irish Republican Army in the city, in which twelve Auxiliaries were wounded, one fatally. 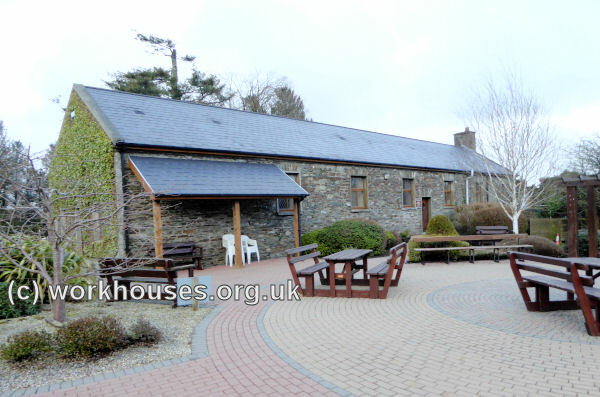 Shortly after the event, 'K' Company were moved to new quarters at Dunmanway workhouse. The master of the institution at that date was Timothy Burke, the great-grand-uncle of former Taoiseach, Bertie Ahern. 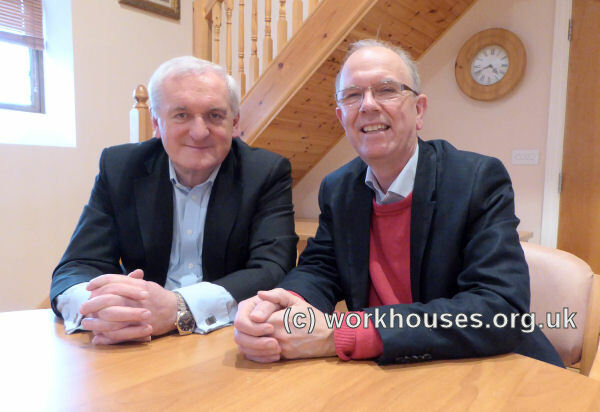 Ahern learned about his connection to the workhouse when he visited the site in 2018 for his appearance in the Irish version of the TV show Who Do You Think You Are? 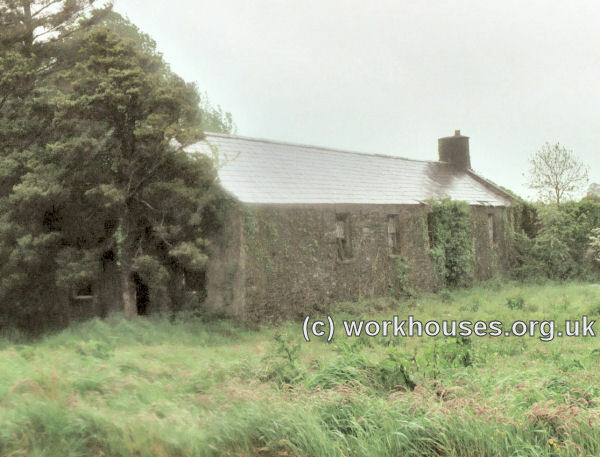 After the creation of the Irish Free State in 1922, the workhouse fever hospital was redesignated as a District Hospital, with a scheme to use the workhouse entrance block as a cottage hospital. In 1927, the workhouse buildings were described as being in a bad state of repair, with no proper water supply, water closets, or bathing accommodation. The former workhouse site is now (2002) the home of St Anthony's Hospital. Only the entrance block and the chapel/dining-hall survive from the original buildings. After a period of standing derelict, the latter has now been renovated for local community use. 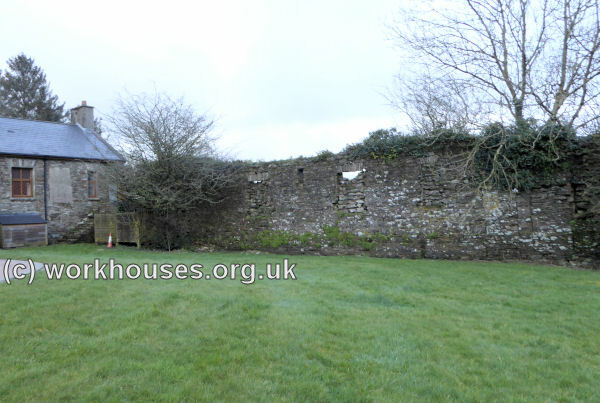 At the rear of the building, part of the original front wall of the infirmary block also survives. Cork City and County Archives, 33a Great William O'Brien Street, Blackpool, Cork. Holdings include: Board of Guardian Minute Books (1840-1920).